As we begin our journey through 2019, let us do so with optimistic enthusiasm for what this year will bring. It may be more important than ever for all members of the scientific community to unite to better foster scientific discovery and understanding in our great Commonwealth. I encourage you to be an engaged member of the Academy and the communities in which you live and serve, as there are several ways to do so. 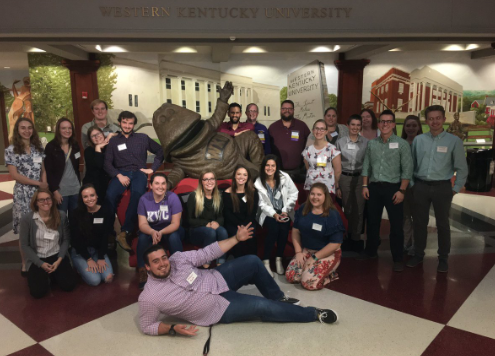 The Junior Kentucky Academy of Science meeting will be held at Kentucky State University in April; more information will be shared on the KAS website as it is made available. If you can, please make time to come learn about, and be inspired by, the innovative science research projects on which Kentucky’s youth are working. Hopefully, you may even have time to serve as a judge at the meeting! I hope to also see you the KAS annual meeting, which for the first time since 1957 will be held at Berea College! Even if you are unable to participate at the Annual Meeting, please stay engaged and active with your KAS sections. In order to have a thriving organization, we must continue to grow and support successful section activities. We need involved leaders and active members. Please know, the KAS Board is available to support the sections in any way that we can. 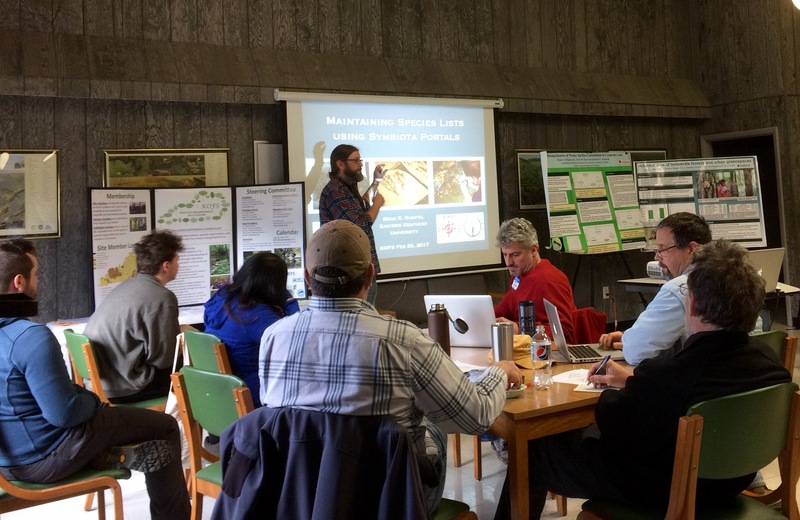 There are also multiple opportunities to be an engaged KAS member and representative by volunteering for science education and outreach events in your communities. We have 170+ members signed up with our Speakers Bureau, but we need you, the members, to help promote this learning opportunity to educators, civic groups, libraries, etc. Please also pay special attention to the state legislative session! The Journal of the Kentucky Academy of Science has new editors working hard to shorten time to publication and broaden the scope of the journal. Don’t forget, the Journal welcomes manuscripts from all of the scientific disciplines, so I encourage you to use it as a publication outlet for your Kentucky and other relevant regional research. 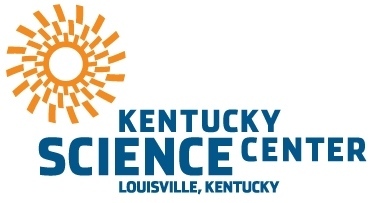 In closing, if you have any concerns, ideas, or other general feedback or comments about KAS, or how we can better serve science in Kentucky, please share them with me, or our Executive Director, Amanda Fuller. I believe it is through interdisciplinary thinking and the sharing of multiple ideas that we will be able to ensure 2019 has great things in store for the world of science in the Commonwealth. Thank you for allowing me to serve as your 2019 President. I wish all the best for a productive and successful year! Science Speakers Bureau is growing! What have our members been up to? 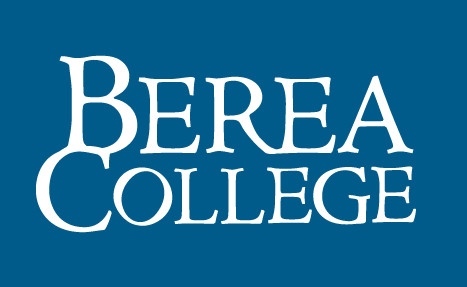 The 2019 KAS Annual Meeting will be hosted at Berea College! Purchase a Kentucky Nature License Plate and support the Kentucky Heritage Land Conservation Fund! Kentucky lags behind our neighboring states with only 7% of our land protected for conservation. 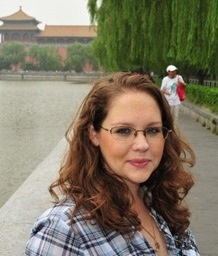 Your contributions help! Thank you! Kyle Watson won our Social Media Photo contest with this spirited photo of the Kentucky Wesleyan College delegation! 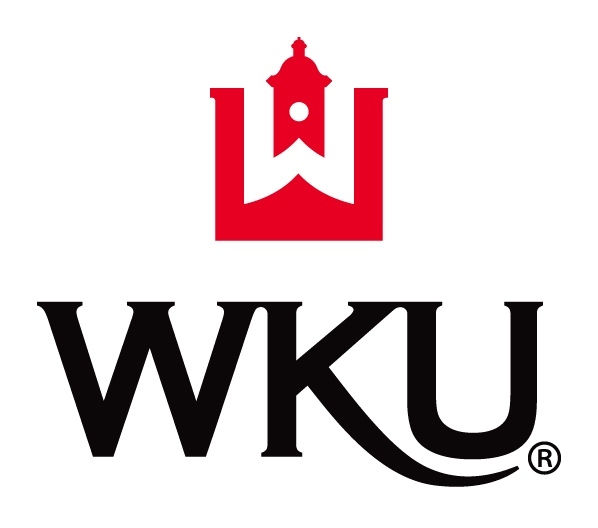 We want to thank WKU for hosting the 2018 Annual Meeting! We had 623 people register, representing more than 24 different institutions, and we had 398 poster & paper presentations! That's a lot of science! We appreciate your feedback and we are already working on implementing some of your suggestions for 2019! Congratulations to Emma Higgins who won the drawing for a $25 gift card! Your fellow KAS members produce a weekly podcast bringing science to the airwaves- Listen whenever you like at www.forwardradio.org or contribute to the show! Contact Dave Robinson if you have a story to share. Forward Radio is a non-profit, community-supported radio station. You can also check out special coverage of the KAS Annual meeting in the November 12 episode! Our Science Speakers Bureau has grown to 167 members! Recent requests for speakers have come in from Central and Western Kentucky and from Louisville. Help us get the word out! Tell your schools, libraries, and civic organizations about this great resource, or let us know where we can reach out and send announcements. The Speakers Bureau is open to our Graduate & Professional members. If you'd like to join, log in and follow links to Update your Profile. Our Breakfast with Science Teachers event with the Kentucky Science Teachers Association in November was a great conversation! Nine members of our Speakers Bureau joined us and shared what they do; Patrick Goff from KSTA shared his experiences doing video-chats in his classroom with scientists all over the world. 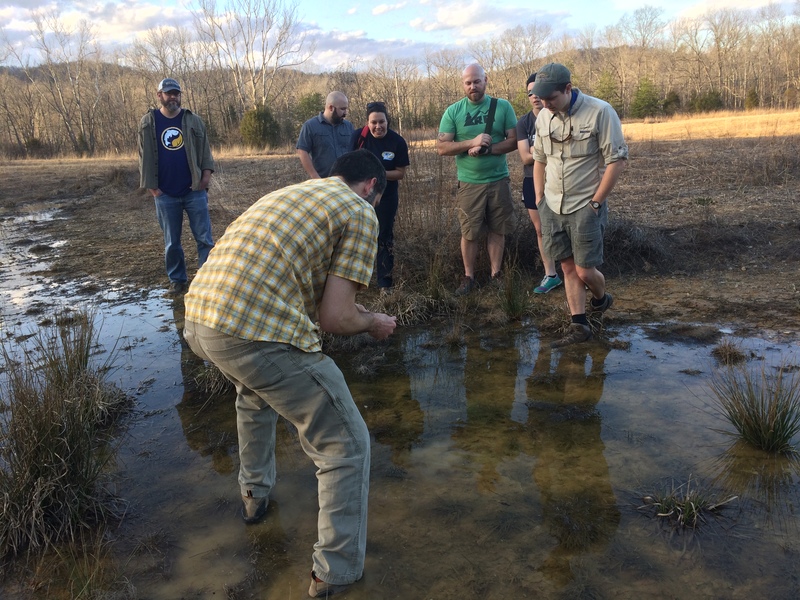 Teachers learned about how to invite local scientists into their classroom, in person or virtually, and teachers and scientists alike got excited about some online tools like @Realscientists on Twitter. 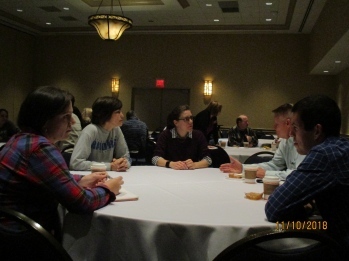 Watch for more collaborations between scientists & teachers, like at the 2019 Annual Meeting in Berea! In 2019, the Journal of the Kentucky Academy of Science is transitioning to all-digital format. Articles will be published on an issue-in-progress model, which means faster publishing for authors and easy access. We've also dropped page charges, so authors will be able to publish for free in the Journal! The Markey Cancer Center (MCC) has established a new educational pipeline program: the MCC Appalachian Career Training in Oncology (ACTION) Program. 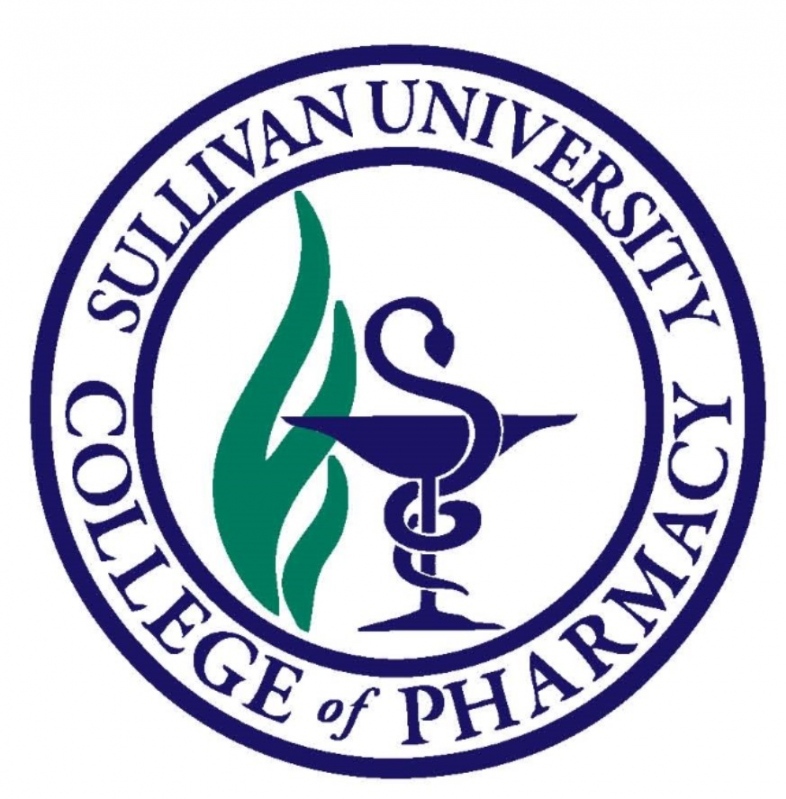 First established as the Career Training in Oncology Program (CTOP) in 2016, the program offers Appalachian Kentucky high school and undergraduate students enrolled at the University of Kentucky the opportunity to gain cancer research, clinical, outreach and education experiences that will enrich their interest in pursuing a cancer-focused career. 2019 is an important year in Kentucky politics. National 314 Action, a STEM/policy-advocacy group, is interested in helping Kentucky support STEM candidates. The races below will be on the ballot in 2019 (many of which have no official STEM candidates). Do you know a STEM professional who would be perfect for one of these spots? if so, send us a message! The last day to file to run is January 29, 2019. We realize it's not practical to have scientists and engineers in all of these areas, but some are of particular interest for obvious reasons. 314 Action also realizes that just because someone doesn't have a background in STEM, doesn't mean that won't be a science-friendly candidate, and will consider this. (Education & Advocacy Chair and Kentucky 314 representative). Research Experience for Undergraduates (REU) positions are paid summer research positions for undergraduates, funded by the National Science Foundation. REUs are excellent stepping stones to research jobs, to graduate school, or other careers in the sciences! Applications are due in February - check the website for details about each program. Surveying candidates on science issues! Thank you Trent Garrison and his Science Policy class at NKU for putting this together and sharing with our membership! Podcasting & Starring in videos! Mosquito Mate, a pest-control company in Lexington, was recently highlighted on Science Friday as their chemical-free mosquito control meth ods are being replicated in more states. Mosquito mate releases male Asian tiger mosquitoes (the daytime-biting ones) that are infected with naturally-occurring Wolbachia bacteria, and when they mate with females the resulting eggs are sterile. The method was developed at the University of Kentucky and has been so successful that it's now spreading to other states. Six delegates from the Kentucky Junior Academy of Science will participate in the 2019 American Junior Academy of Science meeting in Washington DC. 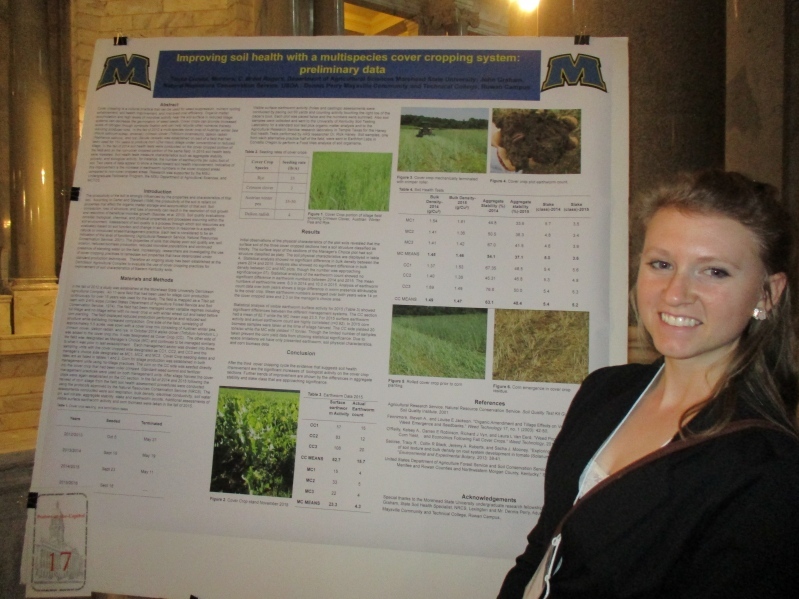 The meeting offers students a chance to present their research to their peers and to meet professional scientists. The AJAS is a program of the National Association of Academies of Science (NAAS) and the annual meetings of both AJAS and NAAS are held in conjunction with the AAAS (American Association for the Advancement of Science) Annual Meeting. February 21, 2019 will mark the eighteenth annual Posters-at-the-Capitol program. With unique research projects on display, Posters-at-the-Capitol helps to increase understanding of the important role undergraduate research plays in the education of our students among those responsible for higher education funding in Kentucky. Providing undergraduates with the opportunity to engage in scholarly, research, and creative work is important to our students’ educational experience and professional development. We encourage faculty to have their students participate in Posters-at-the-Capitol to help those in Kentucky who fund higher education understand why these experiences are so important. If you are an undergraduate, we urge you to tell your story to your hometown and university legislators so that other Kentucky students can enjoy and benefit from the kind of experience you have had. The workshop will be facilitated by Glenn Odenbrett, SENCER* Leadership Fellow and founding Director of the Office of Student Community Service at Case Western University and the Great Lakes Innovative Stewardship Through Education Network (GLISTEN) at the National Center for Science and Civic Engagement. Participants will learn about strategies and tools for integrating civic engagement with STEM courses they are currently teaching or plan to teach. Small group work by discipline groups, if feasible (e.g., life sciences, engineering) facilitated by coaches to begin applying strategies and tools, and develop plan for detailed follow-up. The workshop will be facilitated by Glenn Odenbrett, SENCER* Leadership Fellow and founding Director of the Office of Student Community Service at Case Western University and the Great Lakes Innovative Stewardship Through Education Network (GLISTEN) at the National Center for Science and Civic Engagement. He can be reached at gxo2@case.edu. The event will take place on Friday March 8th at Northern Kentucky University Griffin Hall Digitorium from 9:30 am to 5:00 pm. There will be an optional additional day on Saturday March 9th (location tbd) that will be more intensive with Mr. Odenbrett and the coaches from 8:30-12 noon.